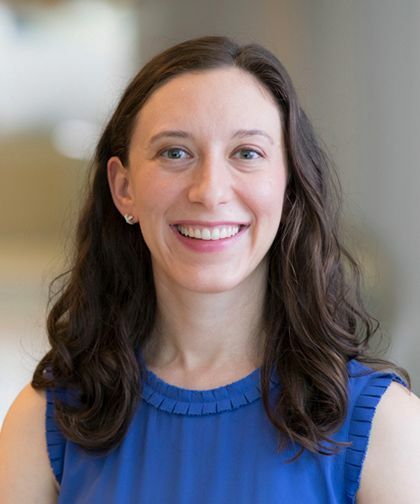 Erin Paul, MD, is an Attending Physician in Pediatrics at Children’s Hospital at Montefiore. She is also an Assistant Professor of Pediatrics at Albert Einstein College of Medicine. Dr. Paul’s clinical focus is on fetal cardiology, echocardiography, neurodevelopmental outcomes in congenital heart disease, and fetal counseling, among others. She joined Montefiore in 2018. Dr. Paul received her Bachelor of Arts in Neurobiology at Harvard College in 2007. She then attended Columbia University College of Physicians and Surgeons where she received her Doctor of Medicine in 2011. Dr. Paul completed a residency in pediatrics at New York-Presbyterian Morgan Stanley Children’s Hospital in 2014. In 2017, she completed her fellowship in pediatric cardiology at the same hospital, where she was Chief Fellow, and stayed on to complete an additional year of advanced non-invasive imaging training. Dr. Paul’s research focuses on the areas of fetal cardiology, cardiac imaging, neurodevelopmental outcomes for children with congenital heart disease, and general cardiology. She has given numerous national lectures, and has had her work published in many abstracts, case reports, and manuscripts. In 2017, Dr. Paul received the Welton M. Gersony Research Award. She is board certified by the American Board of Pediatrics, and is a member of numerous professional societies, including the American Society of Echocardiography and the Cardiac Neurodevelopmental Outcome Collaborative.